A dramatic story of hatred, friendship and survival. When you're a dirt-poor farmer trying to eke out a living, you need good neighbours. But there's little love lost between Walter Duncan (Wayne Rogers, M*A*S*H*) and his neighbour, Krab Hogan (Earl Holliman, The Rainmaker). 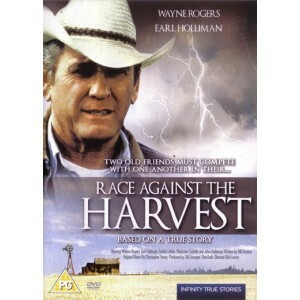 Now Walter need's Krab's combine to harvest his wheat before a storm destroys the crop. Krab refuses to help, and in revenge Walter sets up a rival harvesting business. The men's bitter feud escalates to the point where they might kill each other until Walter learns the truth about the secret that has poisoned their relationship for so many years.